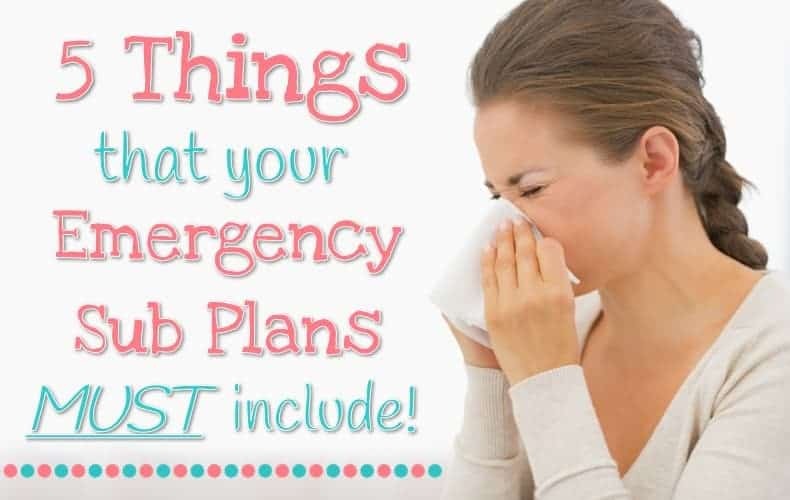 Making sub plans for your special education classroom can be exhausting. Letting your guest teacher know about each of your students’ needs without overwhelming them or setting your students up for failure can be challenging. 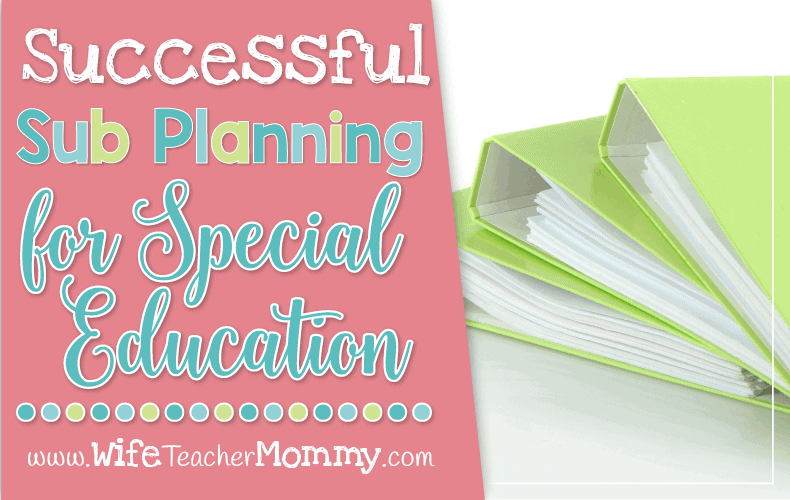 These tips will help you in your sub planning for special education this school year. Prepare your materials way before you’re gone. 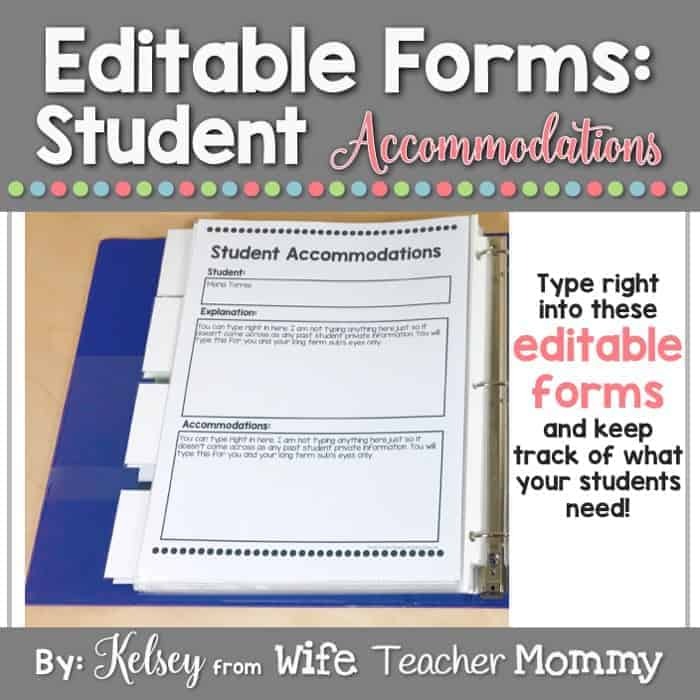 At the start of the school year, make a binder filled with information about your students’ accommodations and needs. 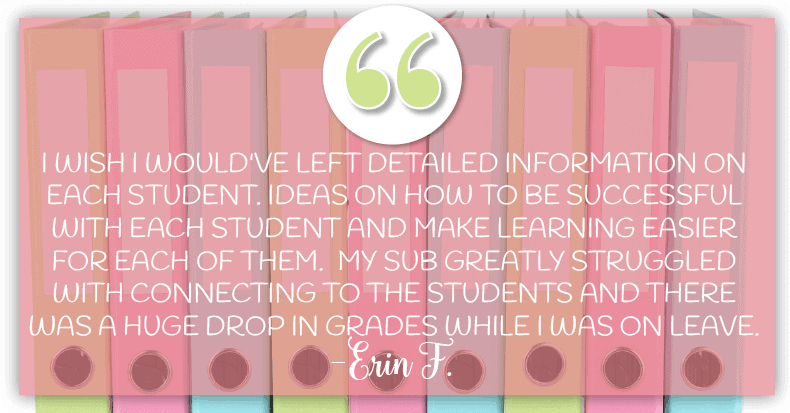 Make sure the sub, whoever it may be, is aware of all information to help your students be successful whether it’s behavior plans, testing accommodations, or incentives to keep them on track. Although some information is confidential, you want to make sure that any guest teacher is following your students’ IEPs. Plans are there to protect and ensure your children have the educational opportunities they deserve every single day. Here’s an example of the information you could leave about each student. 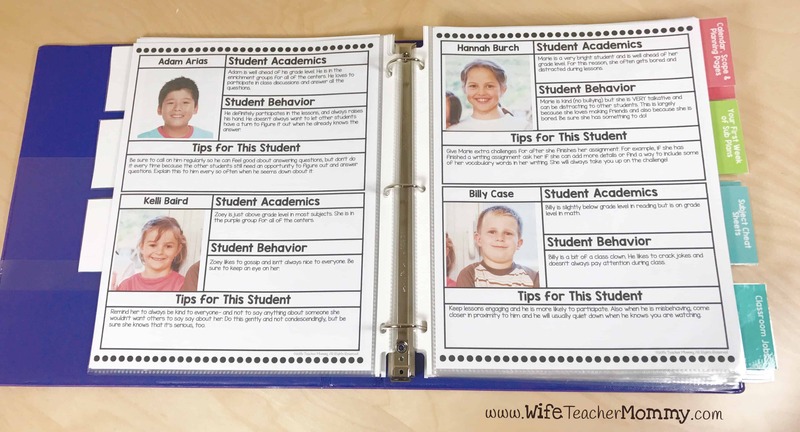 Your sub would appreciate knowing a snapshot about each student’s academics and behavior. Tips for success are also a great bonus! 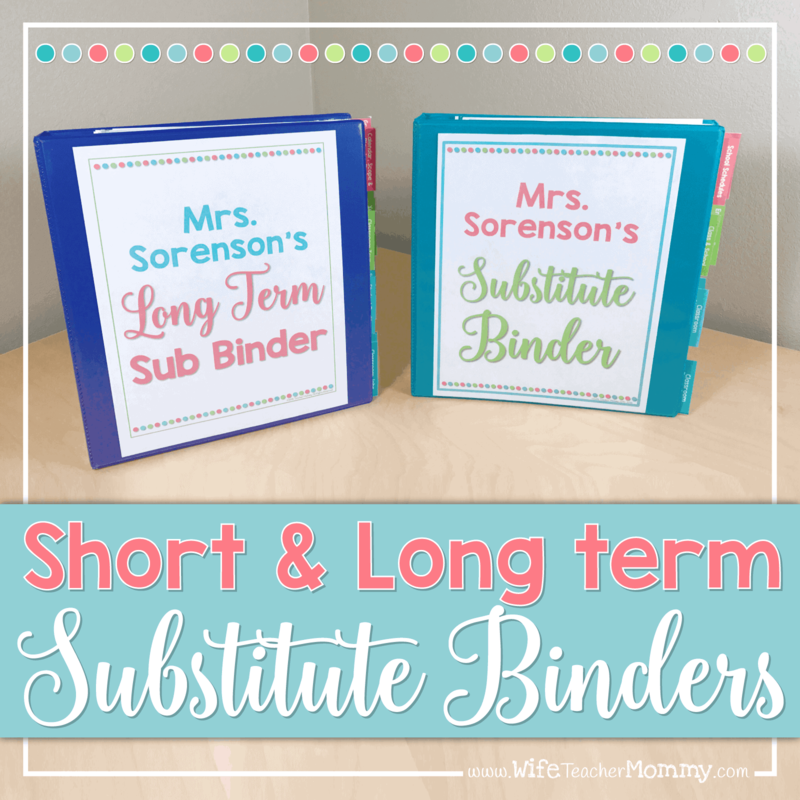 (These forms are included in my Complete Short & Long Term Sub Binder Bundle). For special education, it’s also important to note any accommodations your students will need. You can grab these FREE student accommodation forms by singing up for my free resource library. Keep in mind that if you coteach with another content area or classroom teacher, they may have a lot of plans already made, or you can work together to make sure things run smoothly. Organize materials for each student. Your students in special education have different needs and are at varying levels. Having a clear layout of who needs to be taught what is extremely important. 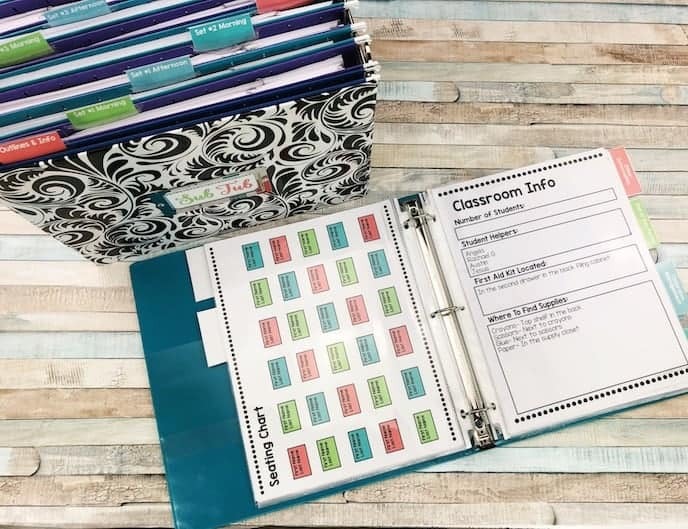 Consider having folders for each student in your classroom with anchor activities to support their learning. Teach your students ahead of time that these are their go-to activities when you’re absent or if they finish their other work early. Use social stories to prepare your students. Some students with special needs may struggle with changes in routine. Using social stories to prepare your students for a sub at the start of the year can be incredibly helpful if and when you’re gone. 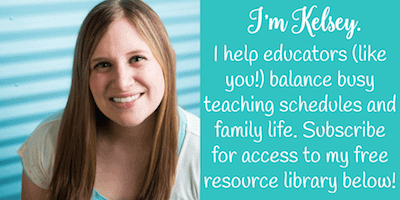 Reader Liz C. uses this strategy in her special education classroom. 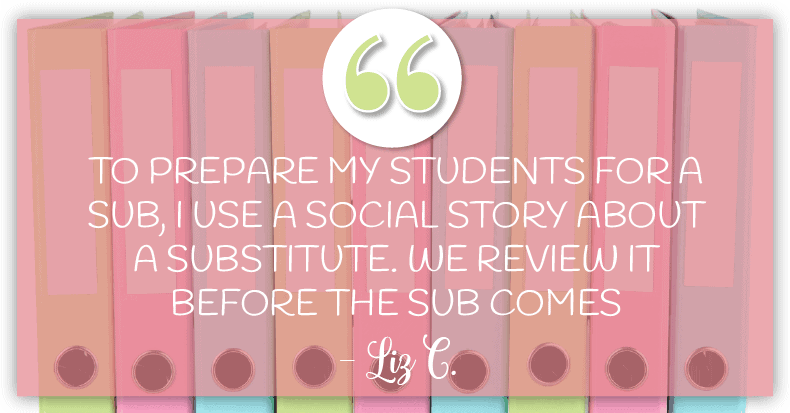 “To prepare my students for a sub, I use a social story about a substitute. We review it before the sub comes.” Preparing students early can help them be ready if a short term absence is extended. “My students have also had to learn to be super flexible after I shattered my wrist this year. I had to have surgery and was out unexpectedly for three weeks! I do have fantastic aides who help to keep the classroom as consistent as possible for them,” Liz said. 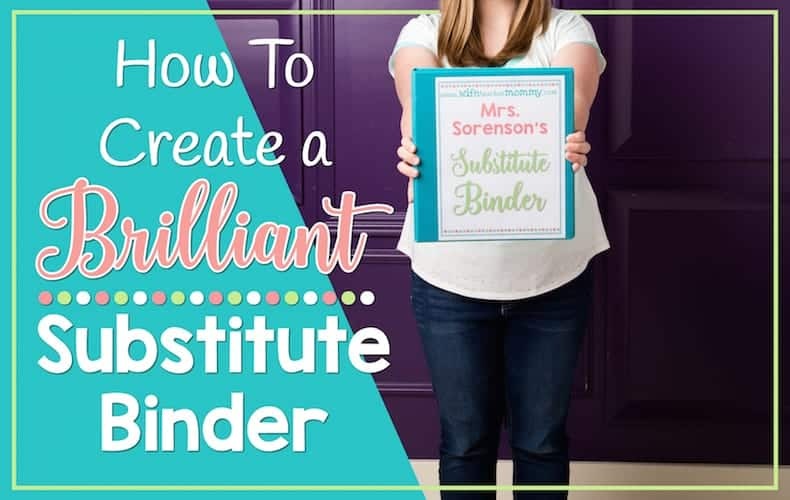 If you’d like to save time and streamline this process, ready to go resources from my shop can make this much easier! 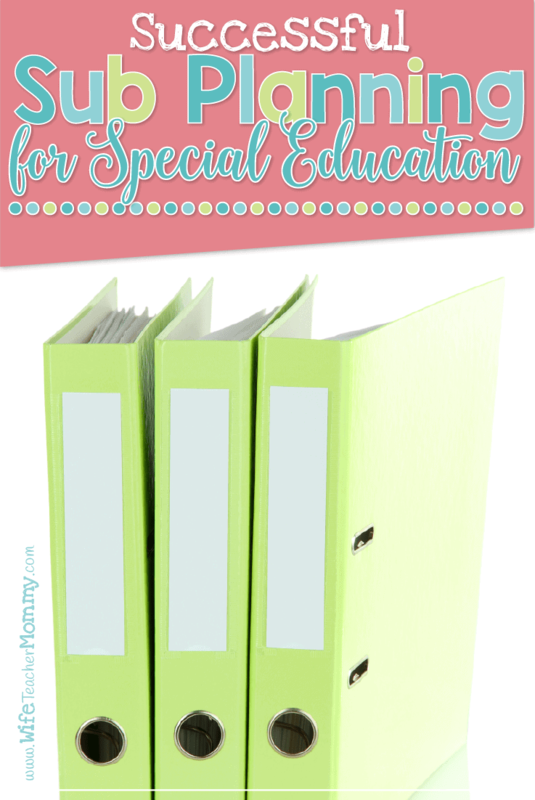 The Special Education Sub Plan Bundle is a life saver for elementary special education teachers. This HUGE bundle includes lesson plans at a Pre-K through 5th grade level. 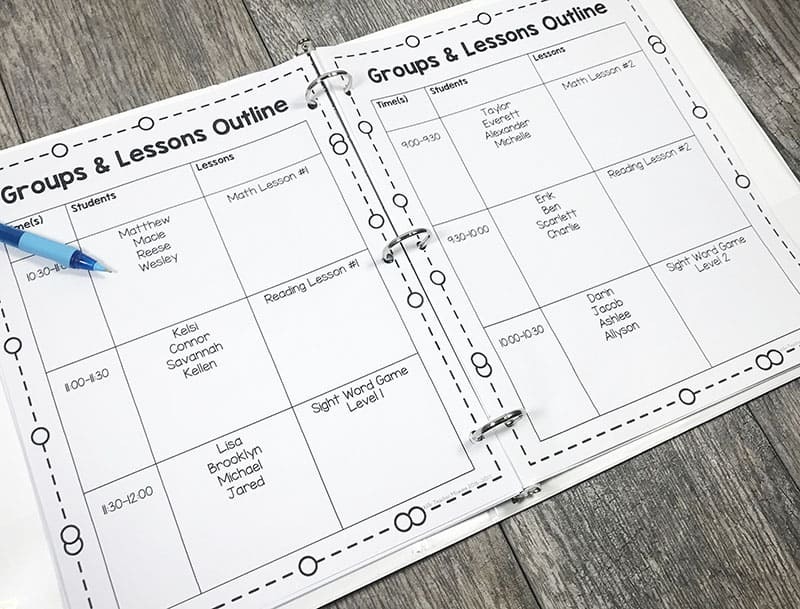 They are print-and-go, so all that’s left to do is print, copy, and organize the lessons. 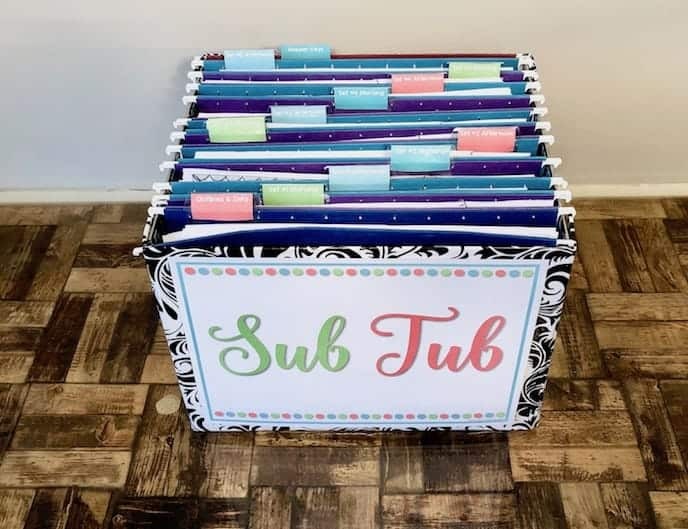 The Complete Substitute Binder Bundle helps you put together ALL of the information your sub will need about your students. All that’s left to do is fill out the forms, and you’ll know that you haven’t missed a thing! Sub planning for special education shouldn’t be more difficult than being home sick or out for the day. 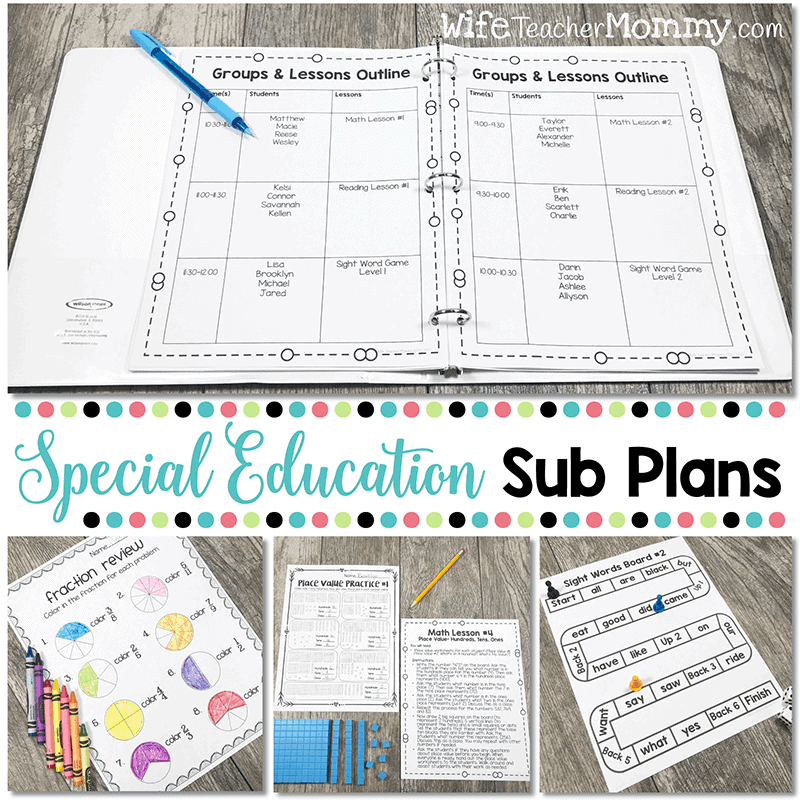 Whether you’re absence is planned, or you are at home unexpectedly, these tips for sub planning for special education will help your classroom run smoothly while you’re gone.